A Companion to Urban Anthropology presents a collection of original essays from international scholars on key issues in urban anthropology and broader cross-disciplinary urban studies. 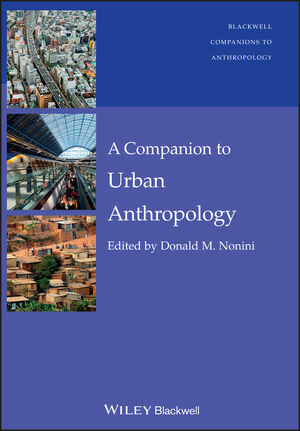 Donald M. Nonini is Professor of Anthropology at the University of North Carolina, Chapel Hill, USA. He has written extensively on state formation, local politics, ethnic and class relations, the Chinese diaspora, and globalization in urban settings in Southeast Asia, Australia, and the southern United States. His latest book is “Getting By” among Chinese in Malaysia: An Historical Ethnography of Class and State Formation (2015).